When you come from a vacation or a short trip, most of us end with hundreds of photographs. But eventually its a only a few of them which we want to shareonline with our friends. But unless the images are resized, uploading them will take very long. If you are a Photoshop user, you can use the built in batch resizing script to easily resize multiple images at once. But if you are looking for something easier and quicker, Image resizer for windows will help you out with quickly resizing multiple images at once. Here’s how you can use the tool to resize multiple images at once. How to Quickly Resize Multiple Images on WindowsUsing Image resizer for windows is very simple, you just need to install in on your windows computer and the tool will be integrated with windows explorer. 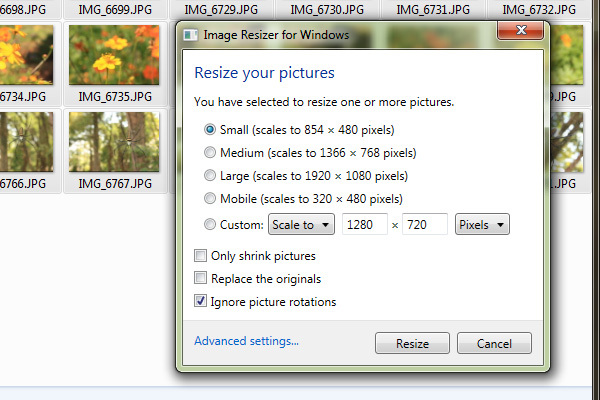 When you want to resize a bunch of images, simply select them all and right click to select Resize pictures. In the dialog box that opens up, you can choose from the existing options provided or select custom to enter a custom resolution value. 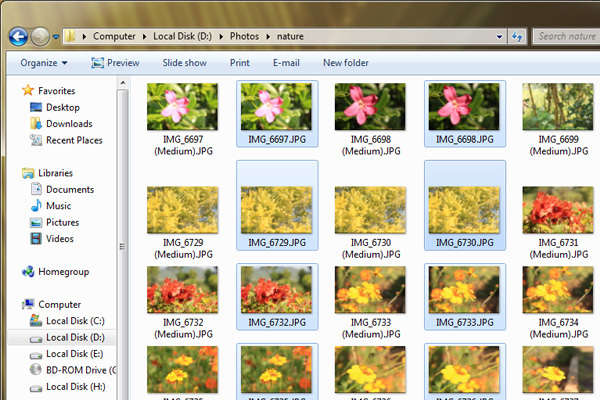 Finally click on theResize button to resize the selected images. The only downside of this tool is, it wont let you select a destination folder for the resized images, instead the resized images will be stored in the same folder alongside the original images. Although sorting out the resized images won’t be a problem since they will be renamed with a label. 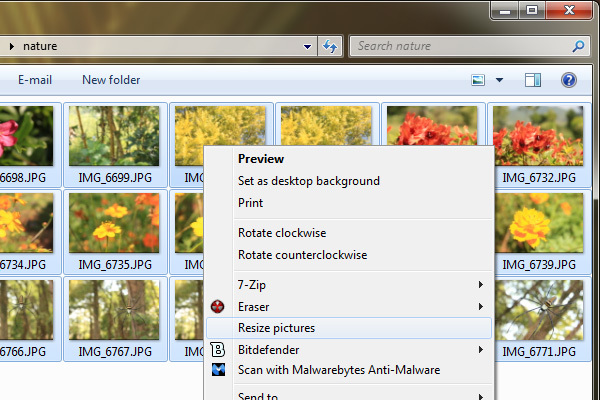 Overall Image resizer for windows is a handy tool that most of you should consider having on your windows computer if you are a click happy shutterbug. The tool is a free download and works on most windows operating systems including Windows XP, Windows 7, Windows Vista and Windows 8. Althoughwindows 8 is not officially supported by the tool, but many users have reported it to be working without any hiccups on Windows 8.